Russell is a rare and valuable commodity - a teacher with degrees in both Arts and Science. He is an international teacher with extensive experience of both A Level and IBDP Psychology and English, as well as middle school science. 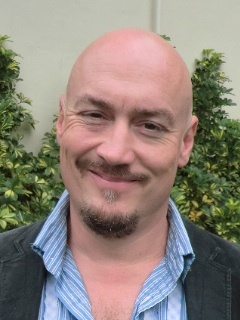 In his previous school, in Vietnam, Russell held a variety of roles as Student Welfare Officer, University Adviser, and IB Extended Essay Coordinator. In his native Australia, he took responsibility as Head of International Programs, Coordinator for English, Student Exchange Coordinator and Year 9 Coordinator. 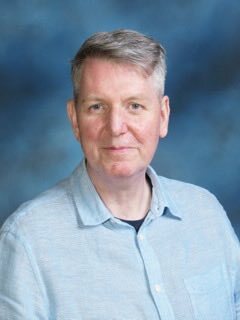 At ICHK, Russell has overall responsibility for pastoral care: heading up our team of Form Tutors, and leading all other aspects of student support and guidance within the school. Douglas spent 20 years in the UK working in the Primary sector, the last six as a Headteacher in a primary school in rural Sussex. 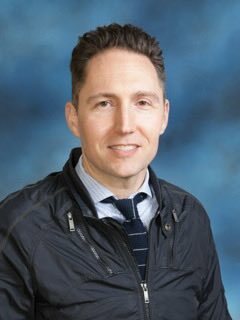 More recently he has worked in Hong Kong as an Education Consultant focusing on curriculum development, assessment, gifted education, Special Needs and pastoral care and management training. He has also worked in the Outdoor Education sector developing service learning, environmental and adventurous education packages and delivering trips and activity weeks. After completing her schooling in London, Flora went on to read Biology at Cambridge University before completing her PGDE at the Chinese University in Hong Kong. Flora has won a range of awards, including being selected as one of Hong Kong’s Most Outstanding Students. She has also worked with disabled students in Nicaragua, Cambridge and with the Red Cross here in Hong Kong. 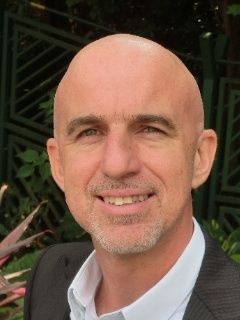 Phil has worked in International Schools for the last twenty years. Teaching and learning has taken him to Prague, Istanbul, London, Singapore and Hong Kong. He has worked as an English Teacher, Head of Languages, Head of English, ToK-Co-ordinator, and most recently as a Head of Year. He is also an IB-Examiner for English Literature. Phil is currently studying Creative Thinking with UCLAN and has research interests in designing tools, processes and environments that help teachers and students tap into the creativity that everyone has. Ross works alongside staff and students, with the aim of using a range of tools to improve teaching and learning. He brings to ICHK a broad knowledge of technology and its impact on the classroom and beyond. 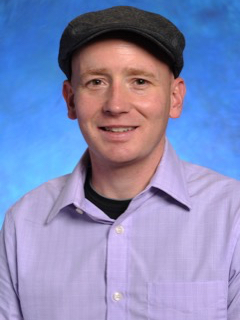 He has a passion for introducing students to the ever-developing role of technology in relation to their development as learners and individuals. Previously Ross was an advisor and training course developer for the English Schools Foundation. Along with teaching ICT, Ross has developed our school management system (Gibbon), which is used also at our feeder primary school, ICHK (Hong Lok Yuen), and by other schools around the world. Victoria studied in both England and Austria, and has taught in the UK, Japan and China. Prior to joining ICHK she was a teacher of English Literature at Dulwich College, Beijing. 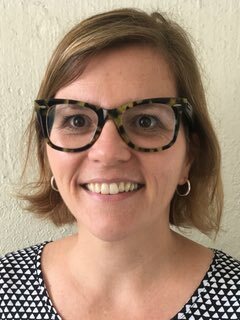 She has considerable experience with both IB English and IGCSE and, in her previous two schools, mentored less experienced teachers – a position of responsibility reflecting the quality and passion she brings to her role. Victoria also dabbles in the world of blogging, and launched 'The Peek' at ICHK, an ever-expanding platform for students to showcase their written work. She encourages students to experiment and become involved with writing, wherever their passions may lie. 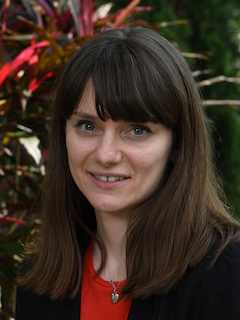 Natalie has taught English Language and Literature in the UK, Mainland China, as well as several schools in Hong Kong. She has considerable experience teaching a range of curriculums, and throughout her 10 years of teaching practice, she has enjoyed varying roles in education. She is a qualified yoga instructor and seeks to integrate mindfulness in to students' educational experience. This year, she looks forward to helping develop the Human Technologies curriculum. Erin completed her under-graduate and graduate studies in the United States. Prior to joining ICHK she was a Teacher of IB English Literature and TOK at an international school in Portugal. 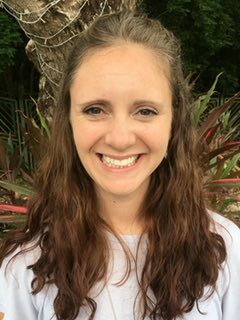 Erin is a marathon runner, has taught in the United States, and is one of a select brand of teachers who have taught both English and Mathematics at secondary school level. 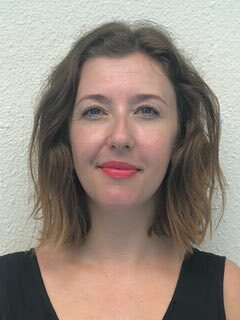 With extensive experience in teaching English and Drama, Kathryn has drawn on her classroom expertise to specialise in the challenges of working with ICHK students who are at the preliminary stages of learning English as a second language. Kathryn heads our EAL programme, which supports individual students in developing and improving their English language skills. The school draws considerable strength from her valuable gift for encouraging and supporting our less confident and less high achieving students. Jon has taught in Africa, Europe, South America and now Asia, completing marathons in each destination. He has taught secondary English for nine years, as well as one year as head of P.E. He followed his English B.A. with a PG-Dip in Journalism and also completed his M.A. in Education and International Development. He will be teaching secondary English through Years 7-11, as well as delivering the Theory of Knowledge curriculum to Year 11. He is passionate about displaying students’ achievements in creativity, action and service through various media. After working as an archaeologist for Cambridge University, Alex started teaching in the UK in a state secondary school teaching History up to GCSE level. He then moved to Australia where he taught in several different schools including special needs and behavioural referral units before working as an education consultant for a technology company advising schools and regional governments on the integration of interactive technology in the classroom. Upon moving to Hong Kong, Alex taught IB History, Theory of Knowledge and IB MYP Humanities and was Head of Individuals and Societies at his previous school. Martin taught at the Chinese International School for more than 15 years, rising to Head of Economics. He has also taught MYP Humanities, IB Economics and Theory of Knowledge. Martin has extensive experience in preparing students for Model United Nations and HKAYP, and has helped organize the Global Issues Network held in Hong Kong. At ICHK, Martin is also our Higher Education advisor. 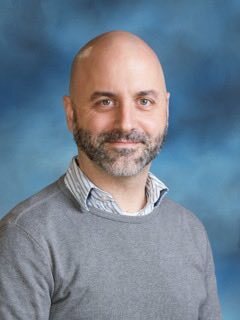 Mr. Zawacki originally specialized in intellectual and legal history before completing his California Secondary Teaching Credential in Social Science with a certificate in Cross Cultural Language Development and a supplement in English. He taught for eleven years in northern California before he transitioned into international education. 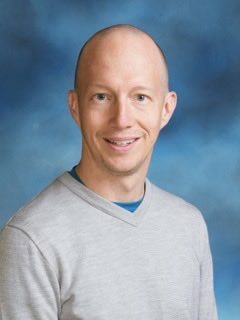 Wanting to learn more about China’s economy, Mr. Z moved to Beijing in 2014 and taught at two of the top Chinese public schools (Beijing No. 4 High School and The High School Affiliated with Renmin University [RDFZ]). Mr. Z also holds a MS in Education with a focus on online teaching and learning and has attended special programs at Loyola Marymount, University of the Pacific McGeorge School of Law, James Madison University, NYU, Amherst College, University of Nottingham, participated in two programs for the National Endowment for the Humanities, worked with two Nobel Laureate Economists, SIEPR (Stanford Institute for Economic Policy Research), and the Federal Reserve. In his free time he enjoys playing guitar, film, and art. 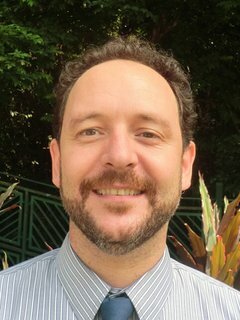 Nicolas has a broad experience as a lecturer, consultant, examiner, teacher-trainer, editor and IB Global Action Team leader. Prior to his focus moving to secondary school education, he taught a range of subjects in several universities in Spain, mainland China and Hong Kong, and was formerly the Coordinator of Spanish Studies in CUHK. Nicolas joined ICHK in 2010, bringing the school through his comprehensive linguistic background. He shares with our community his passion for food & culture, football, and tennis. Yoshie brings a wealth of experience to ICHK. Her first degree was in English, but she has taught both English and Japanese. Prior to joining the school, she was a member of the teaching staff at the Hong Kong Japanese School and has also taught in Australia and Japan. She is a keen fan of winter sports as well as a skilled practitioner of taiko (Japanese drums). In addition to being a teacher of Chinese, Scarlette also has a BA in Japanese and is a Japanese Teacher. At her previous school, St. Margaret’s, she was a volleyball coach and has led students in the HKAYP. Scarlette’s talent for languages, combined with her prowess as a sportswoman and her interest in outdoor pursuits, are a great asset to ICHK. Amanda originally trained as an English Teacher and taught in a Middle School in the Shanghai region. After coming to live in Hong Kong, Amanda taught Chinese to corporate clients and students of all ages, meanwhile finished her Master Degree in Teaching Chinese. Her enthusiasm for teaching Chinese, combined with her interactive approach, is a model of engagement for all Second Language learners. She is now an IB Chinese Examiner in Diploma Program. Along with her role as Examination Coordinator in ICHK, she is also the initiate of Exchange Program between ICHK and Nengren Middle School in China. Before coming to Hong Kong, Sherry studied in mainland China majoring in Chinese Language and Literature and taught Chinese in Singapore for a few years. Later she studied in HKU and got her Master Degree in Teaching Chinese as A Second Language and started teaching in HK. She has taught Chinese as First Language, as Second Language and Chinese Studies in different curriculums. She also has a lot of passion and experience in designing activities to enrich students’ learning process of Chinese language and culture. Leah originally studied at universities in Hong Kong and Taiwan before completing her masters degree in Beijing. She has taught in a number of universities and schools in Hong Kong, including Chinese International School and Australian International School. Along with a major in teaching Chinese as a Second Language, Leah’s diverse studies at university have also included Accounting and Statistics, testament to the wider experience and skill set that she brings to the classroom. Emma has studied in Beijing, Hong Kong and at Durham University in the UK, majoring in English Literature, and specializing also in teaching Chinese as a Second Language. 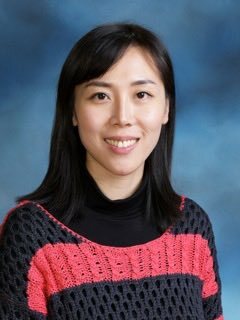 She has taught in the United States, Thailand, and Hong Kong, where she has continued her professional development by focusing on the use of ICT to advance the learning and teaching of Chinese. Emma’s experience in English, Chinese and ICT are a huge asset at ICHK, both for the Languages department and beyond. Sammi studied at the University of Kent, where she completed a BSc in Psychology with Clinical Psychology and a MSc in Neuropsychology. She has also completed a PGDE major in Special Educational Needs at HKU and has worked in special education settings for four years in Hong Kong, including Beacon Hill School and Hong Kong Academy. 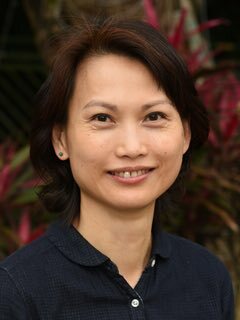 She is interested in working with students with diverse learning needs, as well as supporting their individual pathway to success and well-being in ICHK. Jimmy studied at Waterloo University, the most highly respected of Canada’s universities for Mathematics and Engineering, and has also completed the MEd programme at the University of Bristol. He joins ICHK from the Creative Secondary School where he gained experience teaching mathematics using the MYP’s approach to inquiry-based learning. Prior to this, he taught at the Korean International School, where among his extra-curricular activities, he was responsible for the school’s Year Book. Jamie is an examiner for IB Studies and was previously Head of Year at Dulwich College, Beijing. His enthusiasm for supporting students in all facets of their school life is a major asset to the school. Jamie has considerable experience of organizing adventure trips and expeditions, and brings his knowledge and expertise to bear when managing and leading CAS Week experiences. Chris originally studied Engineering at The University of Windsor in Canada. During the 10 years prior to joining ICHK, he taught Mathematics and Physics in Seoul, Bangkok and Taipei. 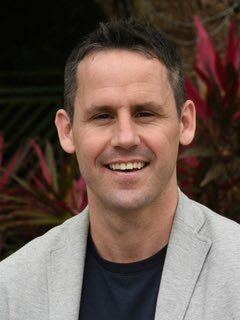 His diverse experiences, including preparing students for SATs, coaching rock climbing and fitness, and teaching EAL, make a great contribution to his role as a teacher at ICHK. 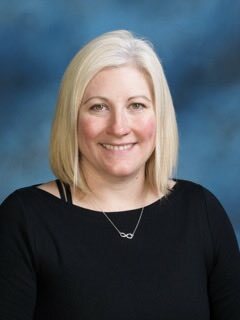 Dawn originally studied Chemistry at Dalhousie University, and then qualified as a teacher of Mathematics and Science at the University of Toronto. 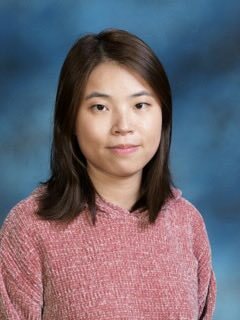 She has taught in Canada and Korea, and at ICHK has concentrated her focus on working with younger students and with those who need additional support in Mathematics and Science. Dawn is also dedicated to the development of leadership in young people and contributes to the ICHK community through her position of advisor for the student government, the SRC. She is also our Head of Year 8 and 9. 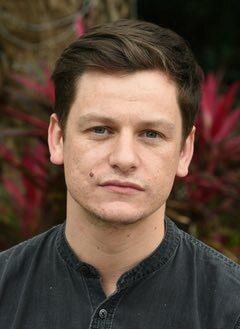 Liam has studied in performance, physical theatre and visual art. His practice as an artist and educator specializes in contemporary theatre making and media based arts. He has worked with a diverse range of artists and organizations on collaborative projects and exhibitions in Europe and Asia and has been a teacher of arts in a number of schools and colleges in England, South Korea and Hong Kong. He has supported students in the Trinity Guildhall Examinations in Speech and Drama and ICHK’s cutting-edge and signature creative performance pieces are testament to his experimentation and inquiry as both an educator and artist. Chris originally studied Art at De Montfort University, Leicester before completing her graduate studies at the Royal Academy Schools of Art and Imperial College in London. She has provided training courses for Art teachers in Hong Kong and worked in schools and colleges both here and in the UK. Chris is also a practising artist. Jennie studied Theatre and Performance studies in London. Before embarking on a career in teaching Jennie worked as a actress and playwright in the U.K and Italy, and has written for both the Camden and Edinburgh fringe festivals.Jennie has worked as a Drama teacher and practitioner in several schools across Hong Kong and is a regular performer on Hong Kong stages. 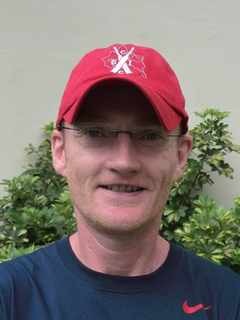 Alistair has taught MYP/DP English, TOK, and Film Studies in three different schools in Colombia where he has worked for the past 16 years. Alistair was head of the Film department and the Green Team at his last school and is a current I.B examiner for Film and Extended Essay. He will be teaching Film, Media, Spanish and English at ICHK. Amy has her degree in Glass and Sculpture from Massachusetts College of Art and her Masters of Fine Arts from Mills College in Oakland, California. Prior to joining ICHK, Amy has taught glassblowing, ceramics, sculpture and visual arts at schools and colleges across the globe and most recently as associate professor at Toyama Institute of Glass Art in Japan. She is a practicing artist and her work can be seen in collections and museums internationally, including the Corning Museum of Glass and the Shanghai Museum of Glass. Ray is a rock climbing instructor, rugby coach and Duke of Edinburgh Award Assessor. He has taught English, Humanities, PE and was an examiner for GCSE Religious Studies and A-Level Ethics. His knowledge and experience of rugby has helped ICHK to become the leading school for Touch Rugby in Hong Kong. Ray speaks English, French, Putonghua and Cantonese and joined us from the UK. 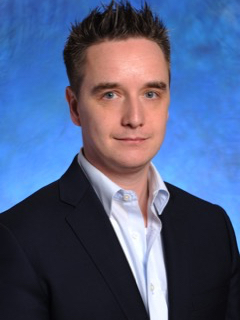 Ben held previous positions in Hong Kong as the information officer/librarian for the European Bank, British Medical Association and Ernest & Young. He has also worked for the ESF as an EAL Coordinator, is a Scout Leader and instructor for the HKAYP. Ben’s personal values as a sportsman, combined with his studies in using team work to promote sports psychology, have been a touchstone in developing our touch rugby programme. Ben is also our Head of Year 7. Matthew held previous positions in Hong Kong as a middle school fitness coach at HKIS and high school gym coach for Primal Strength. His personal values as a continual learner, combined with passion for health and fitness to promote a better quality of life. Stephen has taught in England and in China, with his last position at Dulwich College in Beijing. While Head of House, he supported students in Model United Nations and at an overseas global issues conference. At a previous school, he was appointed Science Gifted and Talented Coordinator. ICHK benefits not only from Stephen’s knowledge of GCSE and the IBDP, but also his passion for Rugby and interest in environmental awareness and action. 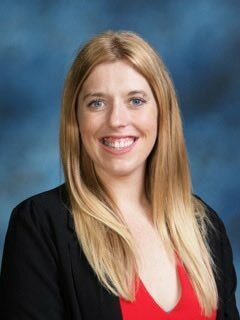 Michelle has her degree in Chemistry from the University of Texas at Arlington and her Masters in Education from National University. Her experience has taken her from the United States to the American School of Bombay in Mumbai, India. Over the years she has worked with cohorts such as the Yale-New Haven Teachers Institute, the Bill Gates Foundation and has led curriculum development for English Language Learners. Her passion for teaching science is evident at all levels as she engages students to see Chemistry in the world around them.